No. 30, Jalan Sepadu 25/123A, Taman Perindustrian Axis, Seksyen 25, 40400 Shah Alam, Selangor, Malaysia. 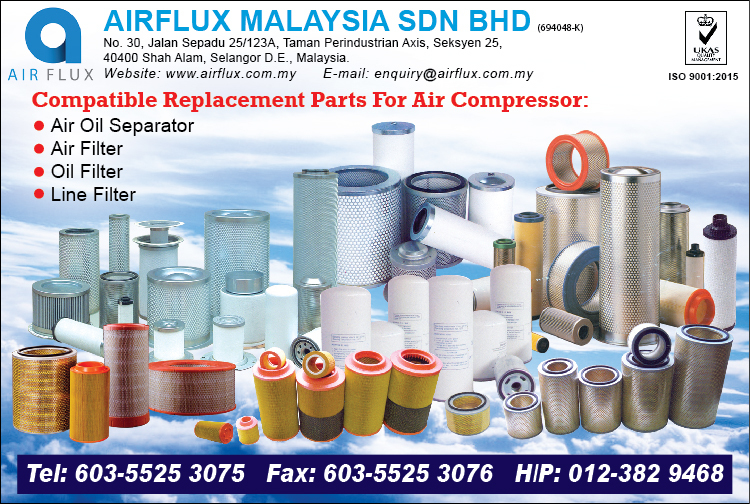 Airflux form in year 2005, as a sales trading company for compressed air microfilter and Alternative replacement filter element products. Airflux has continue to successfully grow over this few years history, So in the beginning of year 2010 Airflux decided to form our own production facilities to design and manufacture our own Microfilter and other Alternative replacement filter element to meet our customer demand and the competitiveness in this global market. 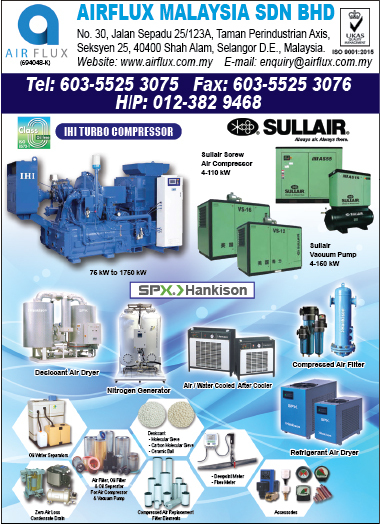 With our effort and experiences in the compressed air filtration field, product of Airflux has continue to grow and excepted by the international market and up to now our business has been expend to Original Equipment Manufacturers (OEMs). 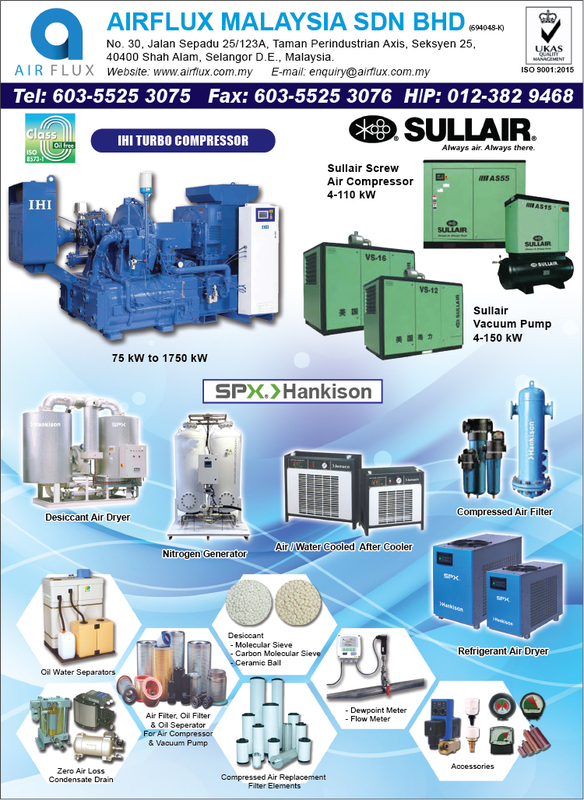 Airflux will continue our ongoing development programs and also created to manufacture the most cost effective, reliable and quality product to full fill all ours customer needs.